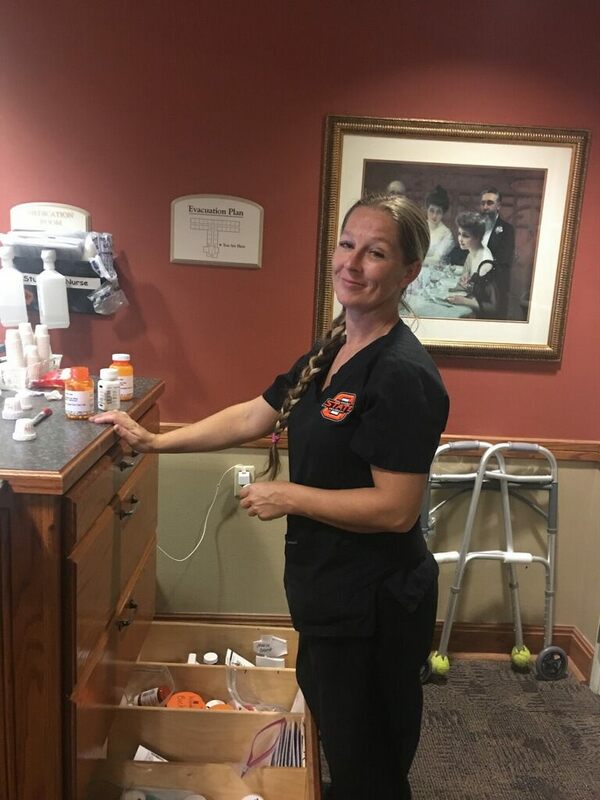 Red Bud Assisted Living Center provides licensed nursing staff members 24 hours a day, 7 days a week, 365 days a year. Our staff members attend to senior needs and provide a professional level of care that most family members aren’t able to provide. Many seniors find activities of daily living (ADL) to be challenging, if not impossible. These are routine activities that most people tend do every day without needing assistance, but as we age, these tasks can become much more difficult. There are six basic ADLs: eating, bathing, dressing, toileting, transferring (walking), and continence, and our nursing staff is there to help any time, day or night. In addition to ADLs, staff members are able to observe our residents on a daily basis and will share their observations with family members. This communication can prove useful in identifying areas of possible concern about their loved one’s condition. The FDA says that “taking medicine as prescribed or medication adherence is important for controlling chronic conditions, treating temporary conditions, and overall long-term health and well-being.”(1) Many senior health conditions require daily medication and our nursing staff sees to it that medicines are administered as prescribed by the physician. Senior quality of life and their very safety depend on the healthcare providers, nurses, and aides that are available to them. Since 2009, we have been offering comfort and personalized attention to those in need of assisted living. Nurses and nurse aides provide the care that our residents want, and the help that they need. Download our publication: Is It Time for Assisted Living?